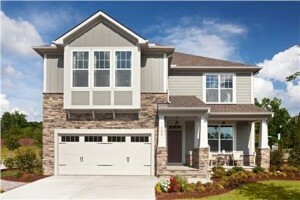 Pre-Sales For New Home Community, Pritchett Farm, Starting In January! Pritchett Farm is located at the intersection of Holly Springs Road and SE Cary Parkway. It is minutes from Crossroads Shopping Center, Cary Towne Center Mall & Major Roads (I-40, I-440, US-1). Featuring Two collections of single-family homes, traditional and executive, will range in size from 2,500 to 4,100 square feet. A total of 91 home sites make up Pritchett Farm; 60 of which will be Traditional, and 31 Executive. You will find homesites up to 1/3 acre, wooded, cul-de-sac, and pond/stream views. Basement opportunities Available. These single-family homes will have many amazing features such as open concept floorplans, first floor owner’s suite, 3rd floor bonus rooms, 3-6 bedrooms, hardwood floors, granite countertops, stainless appliances, and 2-3 car garages.